Somewhere Over the Rainbow chords. Form: Moving the various segments around, layering patterns, working in a round. Perform as a Symphony (a whole group working together) a Concerto ( a soloist with the group doing backup) a Concerto Grosso ( a small group doing the solo with the large group backing up) The possibilities are endless. 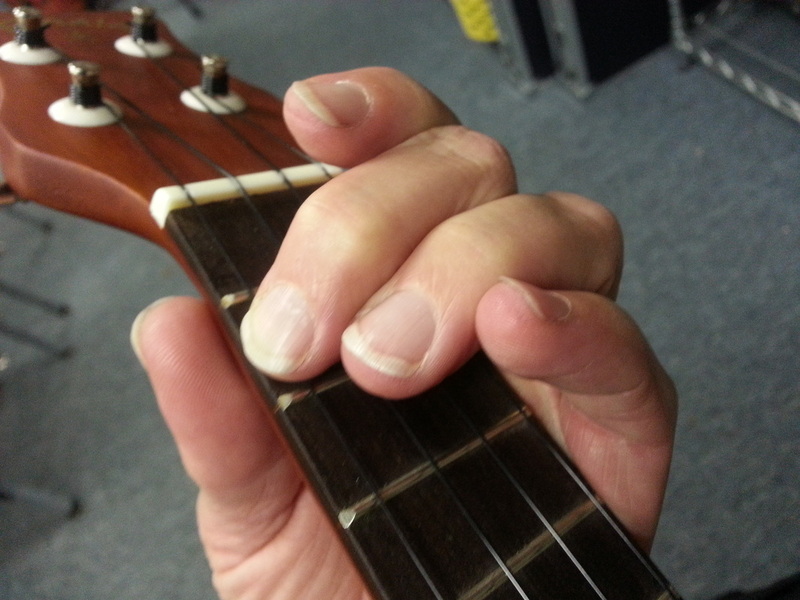 Steady beat: Strumming chords together as a community. Meter: Perform in common time, triple meter, compound meter. Ensemble Skills. Students rehearse and perform these rhythms in groups and as solos. Improvisation: Students take turns improvising new sounds and new patterns. Dynamics: Students use various dynamic changes to create original music. 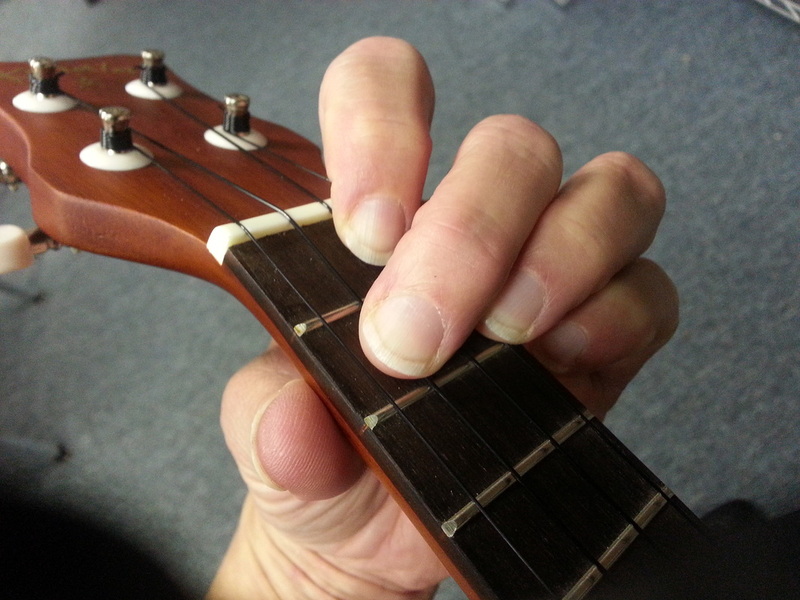 World music/culture: Teach clave patterns, cascara, bell rhythms, Highlife, and other world music patterns with ukelele songs. Students can play along with recordings. 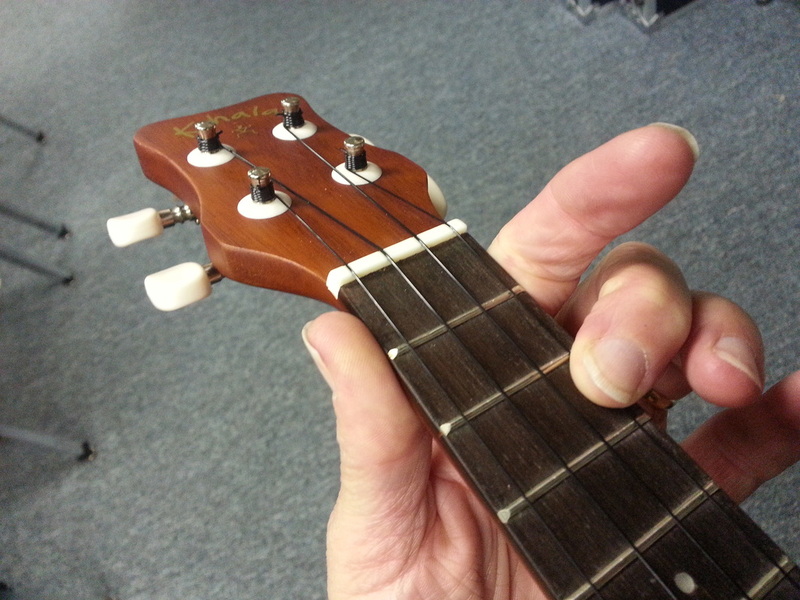 Music Vocabulary; Tempo, crescendo, forte, legato, etc., using ukelele to demonstrate and practice. Notation: Students can notate their compositions, or read the compositions of others using traditional or non-traditional notation. Performing: Students can perform for the class, at a concert, or be videotaped. Composing; Students will create new music. Analyzing/Describing: Students will describe what the see and hear using musical terms. Evaluate: Students will evaluate the elements of the music they hear and the songs they learn. Music History: Students will learn of the connection of ukelele to our musical history, ie., Portugese exploration, Hawaiian music, pop music, singalong and American Folk music.